Weather – Page 544 – Welcome to Wyandotte Daily! Today’s high is a little cooler than Tuesday. Winter will make its exit today with a high of 55 this afternoon and cloudy skies in the morning. Winds Wednesday will be from 14 to 17 mph with gusts as high as 25. Tonight, it will be cold, with a low of 35. Spring enters Thursday with temperatures 15 degrees higher. Look for windy weather to continue on Thursday, when temperatures will be 70 degrees and winds will be 15 to 20 mph with gusts of 28 mph. Friday, skies will be mostly sunny with a high of 61. Temperatures drop on the weekend, with a high near 47 on Saturday and 45 on Sunday. On Monday, there is a slight chance of rain and snow, according to the National Weather Service, with a 20 percent chance of precipitation. The high will be near 51. Tuesday, the high will be 44. Nice weather, with temperatures of 64 degrees and mostly sunny skies are in store for Wyandotte County today, according to the National Weather Service. Tonight brings a 20 percent chance of rain, with a low of 34 degrees. Winds will be 15 to 20 mph tonight, with gusts as high as 28. The light rain is possible late this afternoon. 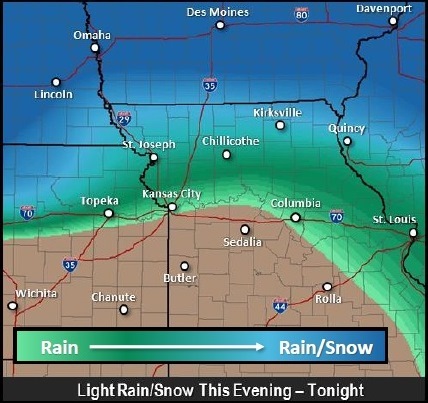 To areas a little north of Kansas City, Kan., there is a chance of snow tonight. Wednesday’s temperatures will drop to around 56 after the cold front moves in from the north. On Thursday, temperatures will rise to 69 degrees. Friday’s forecast is 61. Saturday and Sunday, temperatures will drop to 47. Is it spring or is it winter? 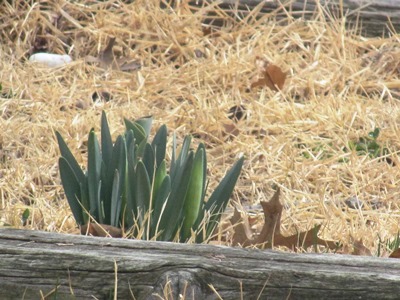 These bulbs in Kansas City, Kan., seem a bit confused about the season — and have decided to come up in winter. Spring officially begins Thursday, March 20. The high could be 57 degrees Monday, March 17. Sunny skies are forecast today for St. Patrick’s Day. The high will be 57 with clear skies, according to the National Weather Service. Temperatures were 24 degrees at 8 a.m.
A south wind of 7 to 16 mph will gust as high as 24 mph today. With warmer temperatures and windier weather, there will be an elevated fire danger this afternoon, according to the weather service. Light rain is possible Tuesday night. To the north of the Kansas City area, snow is possible Tuesday.